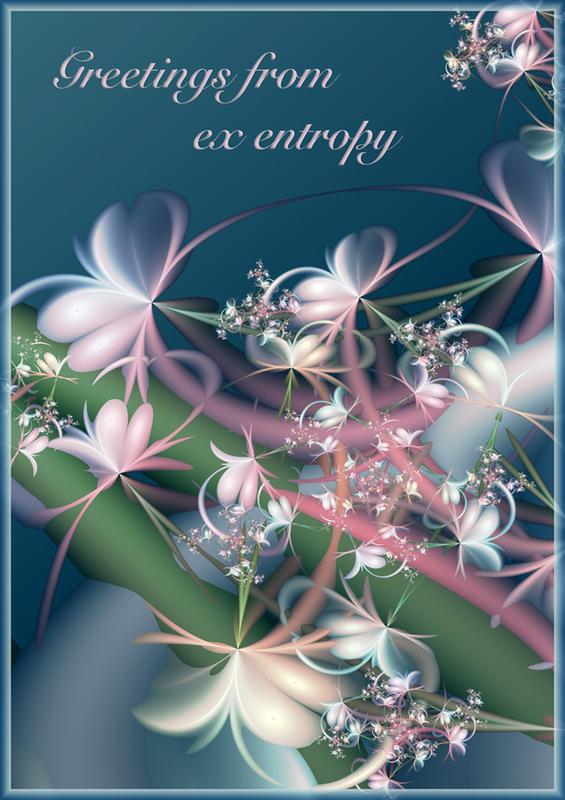 The name ex entropy can be loosely interpreted to mean "out of chaos", or "from disorder". It is a reference to chaos theory and the mathematics of complexity, the realm of mathematical and physical reality in which reside fractal geometry and the fractal universe. The geometry of fractals underlies the natural world, and the inherent beauty of the patterns and structures seen in fractals are evocative of those found in nature - in, for example, the characteristically self-similar patterns and forms of leaves and flowers, snowflakes, mountains, clouds, and river networks. 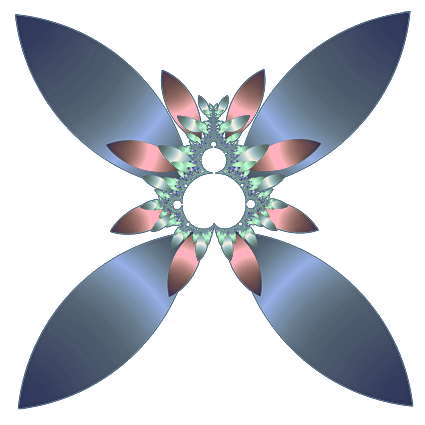 In recent years, due to advances in computer technology, it has become possible to give visual expression to these previously unseen, infinitely complex and beautiful mathematical entities. 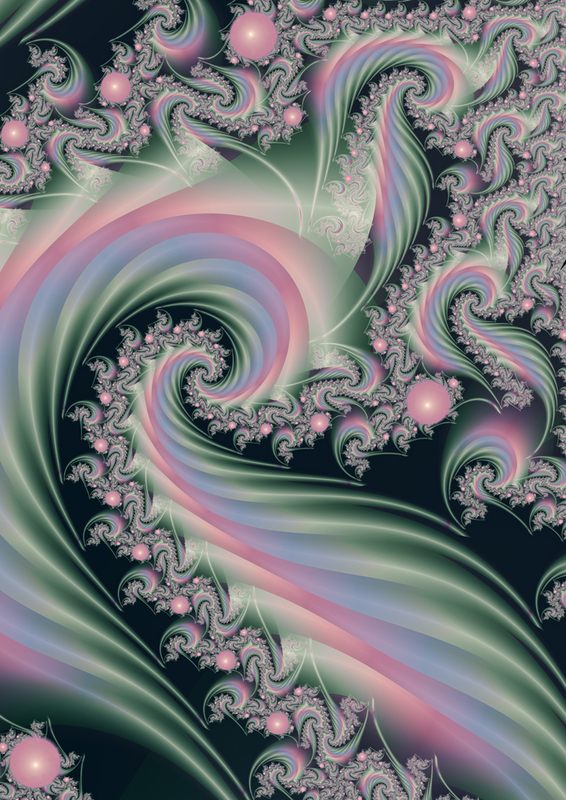 Powerful software such as Ultra Fractal has made it possible to create images from fractal formulae, applying coloring and other mathematical algorithms to the underlying fractal forms to create the work seen in the growing field of fractal art. A good starting point to further explore fractals and fractal art is the Infinite Fractal Loop. For me, fractal images are the point where art and science meet, the perfect synthesis of the two which had previously eluded me. Thank you for visiting this site - I hope you enjoy the images you see here. and exploring the fractal universe.